Chief Pilot, Bill Quistorf, briefs the rescue team prior to flying out for a scheduled helicopter rescue training exercise. The crew consists of five members, from left to right, Quistorf, Deputy Beau Beckner, the crew chief, Oyvind Henningsen and Ernie Zeller, who are both rescue technicians and Travis Hots, the co-pilot. The crew will fly to a predetermined location in the mountains to perform rescue drills and it is important that they go over risk factors and safety protocols as a team before they leave. SnoHawk 1, a Hughes 500-P helicopter, was created for use by the CIA in covert missions during the War in Vietnam. 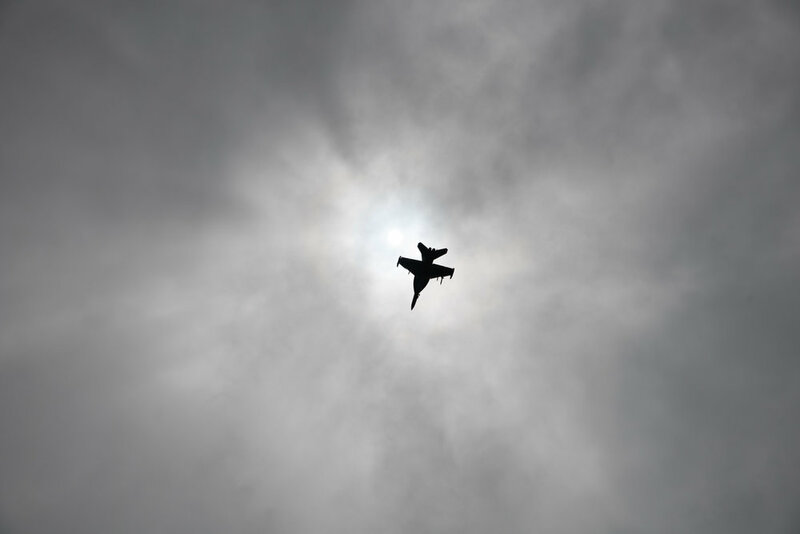 Only four or five of the crafts were ever made and SnoHawk 1 is the last still in operation though it's missions have changed. Instead of war the aircraft is used by the Snohomish County Search and Rescue for life saving SAR missions. 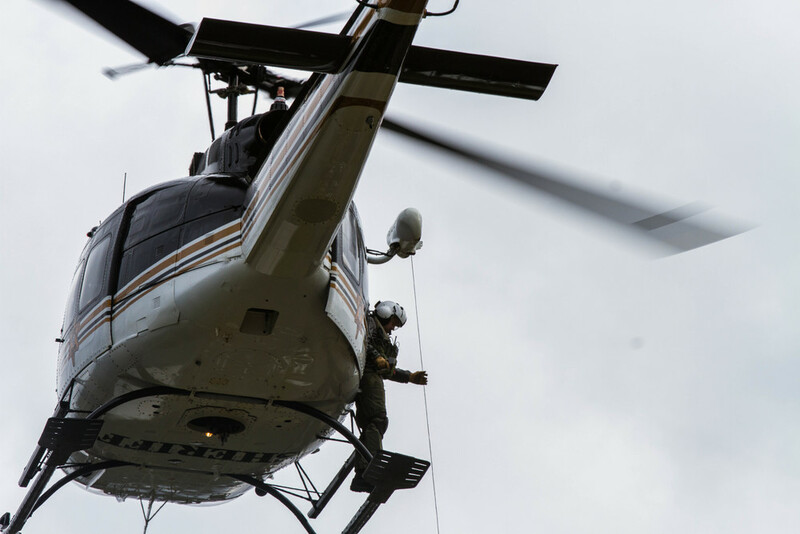 Oyvind Henningsen (left) and deputy Beau Beckner practice hoisting a rescue litter into SnoHawk 10, a helicopter used by the Snohomish county search and rescue helicopter team, during a training exercise. 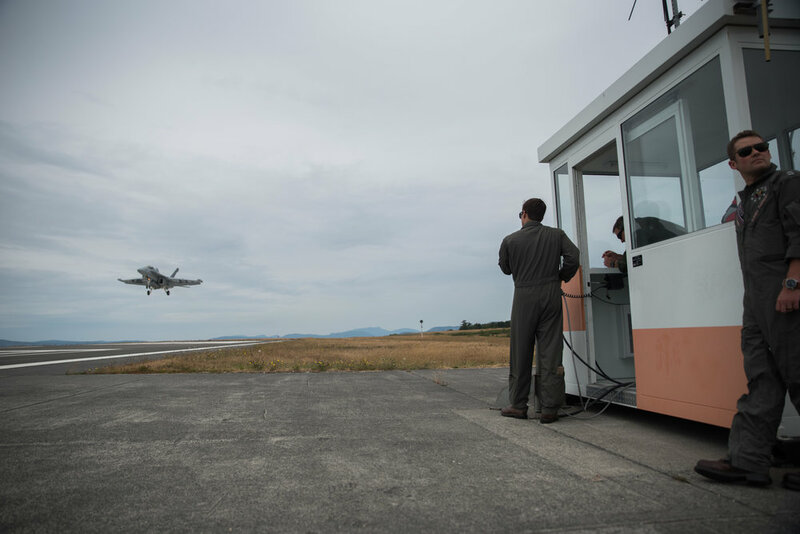 The crew typically performs training drills inside of the hangar before flying out to their training locations to make sure that everyone is following proper procedure. Ernie Zeller (left) and Oyvind Henningsen (right) help to clean SnoHawk 10 following a rescue training exercise in the mountains. Upon landing and securing the main rotor blades the entire five-man crew sets to work on their post-flight duties of cleaning and checking all aspects of the UH-1H helicopter. Pilot Travis Hots stands on top of SnoHawk 10 following a training exercise with the Snohomish county helicopter rescue team. 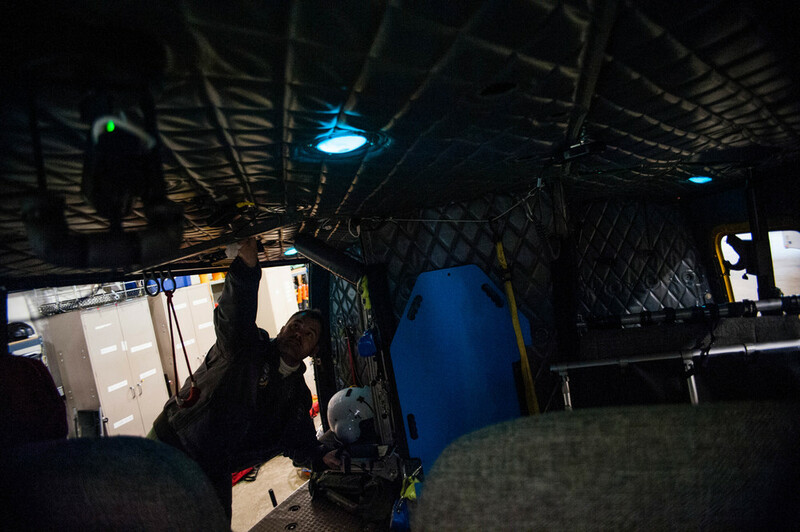 After each flight the crew takes part in the post-flight checks and cleaning of the helicopter, including cleaning and checking the main rotor. Crew chief, Deputy Beau Beckner, secures equipment inside of the UH-1H helicopter named SnoHawk 10 in preparation for the days helicopter rescue training. The crew typically does a practice run through in the hangar before flying out to a predetermined location for training to make sure that everything is ready and that everyone is following proper procedure. Crew chief, Deputy Beau Beckner, stands outside of SnoHawk 10 to operate the hoist during a training session with the Snohomish County Search and Rescue Helicopter Rescue Team. 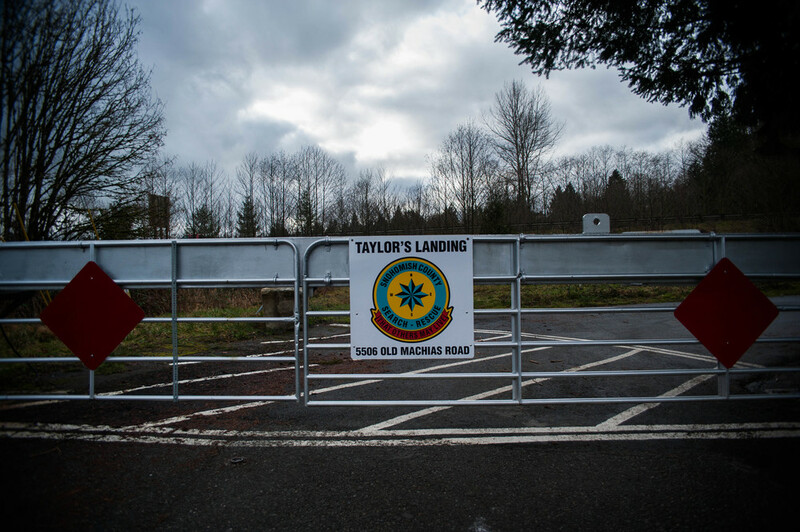 The entrance to Taylor’s landing is barred by a long white gate that boasts a sign with an emblem of a blue compass and a red banner that reads “that others may live”. The Taylor’s landing property houses the various branches of the Snohomish county volunteer search and rescue, including the helicopter rescue team. The helicopter rescue crew is comprised of 39 members, a majority of which are volunteers, and serves thirteen counties across western Washington. Hot, tired and sore the Bellingham Roller Betties team Tough Love brings their hands in for a cheer at the end of their late night practice. 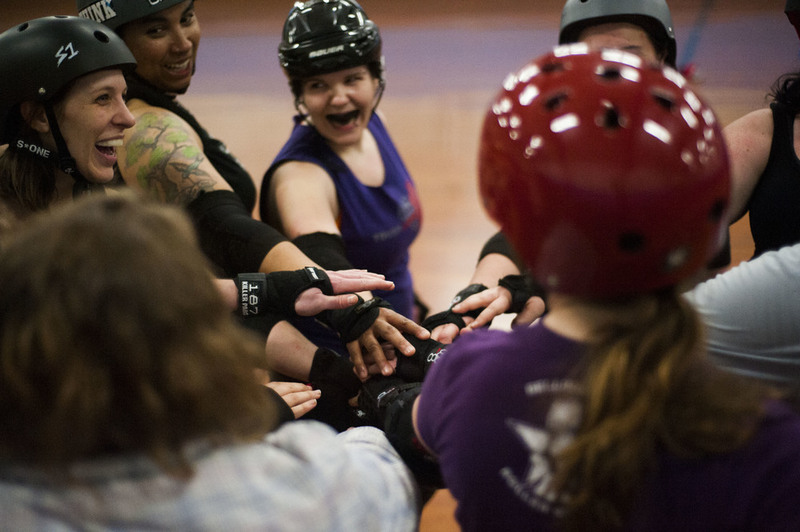 The women of the Roller Betties train hard and work together to become a tight-knit cohesive team. Hadassah “H’Elanna Torrez” McGill (center) leads the post-practice chant, surrounded by her teammates. The women of the Bellingham Roller Betties come from a variety of walks of life, some are full time students’ others are mothers with careers. Brooke “Nacho Friend” Gatterman (center) is in her third year with the Betties and just started her new job working at Western Washington University as a dispatcher for the police. Her son works at the rink where the Betties practice and stays to support Gatterman as she trains with the Roller Betties. Teammates Genevive "Sleazy Bake Oven" Haley and Sara "Quentin Tear-Into-You" Lyons sit out to take a break during practice and the two discuss the pains of falling on a roller skate. The Roller Betties are well accustomed to the bumps and bruises that come from their sport, and practices are no exception to injuries. When players are injured, either from falling or from a past injury, or they need a momentary break they are encouraged to either skate in larger circles around the main group or to step off of the rink and sit for a brief rest. Each Betties' skates are as unique as the skaters are themselves. “It’s hard having wheels strapped to your feet and doing these really hard things,” says Samantha “Baconator” Poteet of the derby maneuvers. Roller derby is a high action, fast-paced sport that takes a toll on the skates and the skaters. The roller skates are not the only ones who take a beating out on the rink. Julian “Crash Test Honey” Grubb rolls up her pant leg to reveal a series of scars along her right knee and ankle. Tough Love, the Betties team that Grubb skates with, cheers for her as she walks out onto the rink. This is her first day back in shoes after breaking her tibia and fibula. “I heard it snap, but it didn’t register what had happened. I actually tried to straighten it out,” Grubb says. This is her second break that has resulted from roller derby. Andrew "Durandy" Golub's personalized license plate. Golub, 42, has become a well-known archivist of Duran Duran memorabilia. 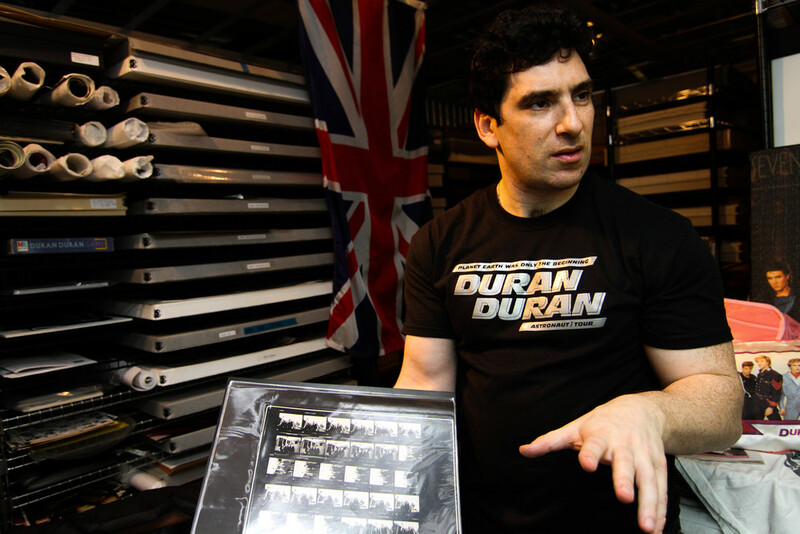 He houses his in a storage unit in Bellevue, Wash.
Andrew "Durandy" Golub, 42, opens the storage unit, also known as "the Archives", full of Duran Duran memorabilia on Saturday afternoon, April 5, 2014. 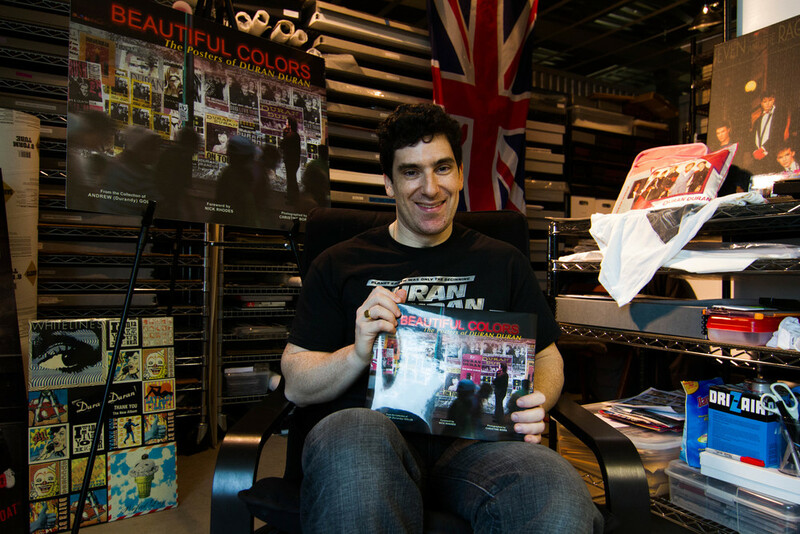 Golub has become a well-known archivist of Duran Duran memorabilia. He houses his in a storage unit in Bellevue, Wash.
Andrew "Durandy" Golub, 42, holds a special edition Duran Duran hot sauce from his Duran Duran collection on Saturday afternoon, April 5, 2014. Golub has become a well-known archivist of Duran Duran memorabilia. 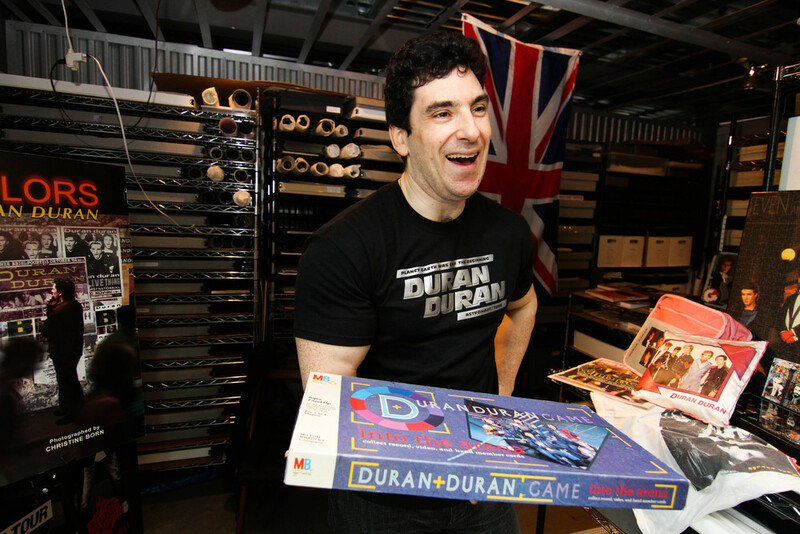 Andrew "Durandy" Golub, 42, shows off a Duran Duran board game called "Into The Arena" from his Duran Duran collection on Saturday afternoon, April 5, 2014. Golub has become a well-known archivist of Duran Duran memorabilia. He houses his in a storage unit in Bellevue, Wash.
Andrew "Durandy" Golub, 42, poses with his newly written book "Beautiful Colors" on Saturday afternoon, April 5, 2014. The book is comprised of a collection of Duran Duran's posters throughout their career. Golub has become a well-known archivist of Duran Duran memorabilia. He houses his in a storage unit in Bellevue, Wash.
Andrew "Durandy" Golub, 42, shows rare film negatives that are a part of his Duran Duran collection on Saturday afternoon, April 5, 2014. Golub has become a well-known archivist of Duran Duran memorabilia. He houses his in a storage unit in Bellevue, Wash.